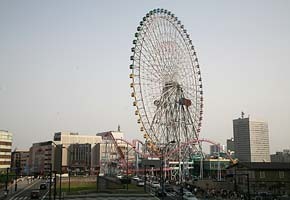 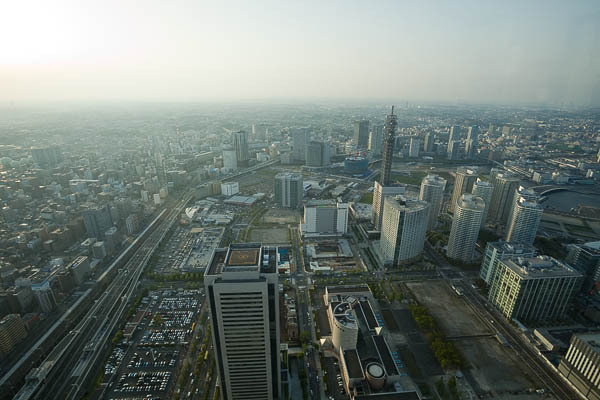 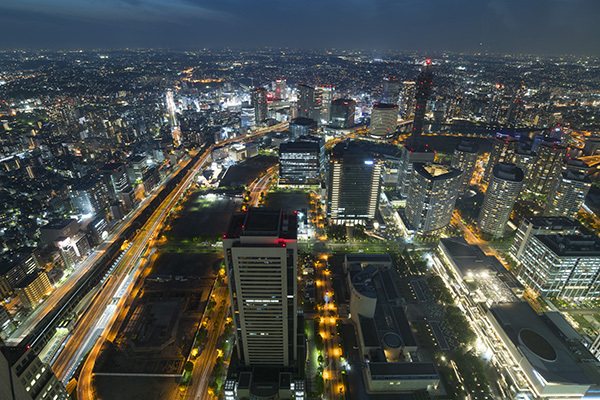 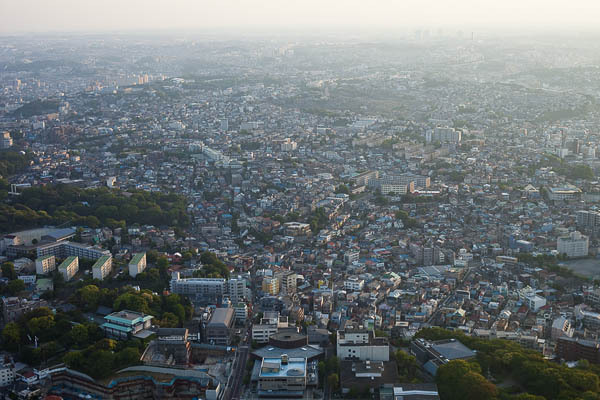 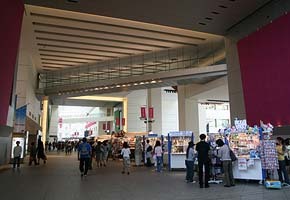 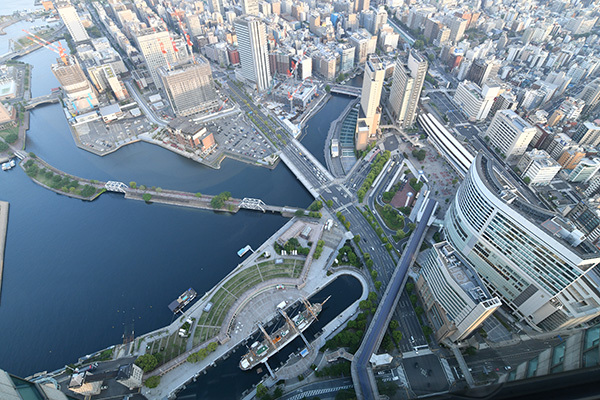 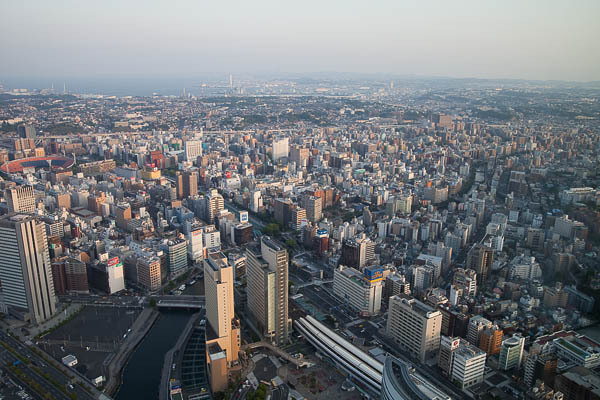 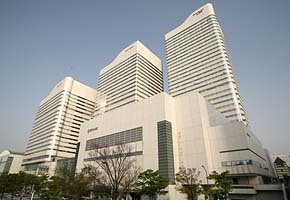 Yokohama, adjacent to south of Tokyo, is the second largest city in Japan with 3.5 million populations. 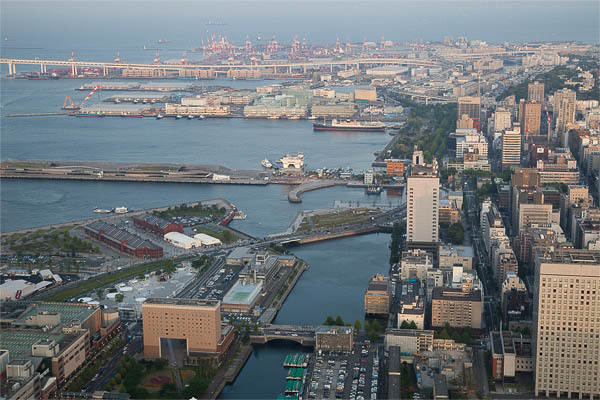 Yokohama has been developed as a seaport. 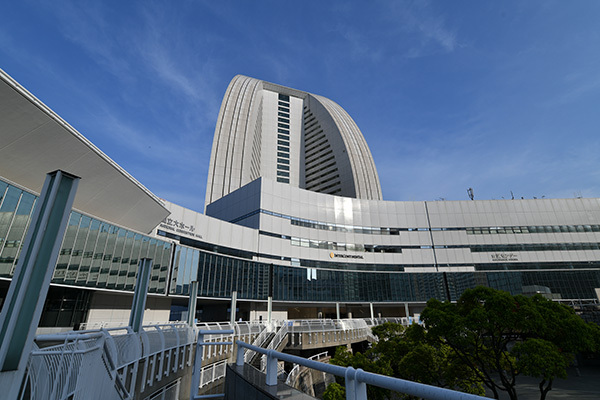 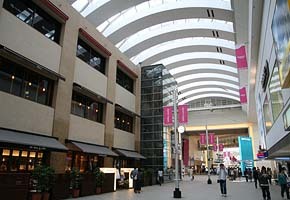 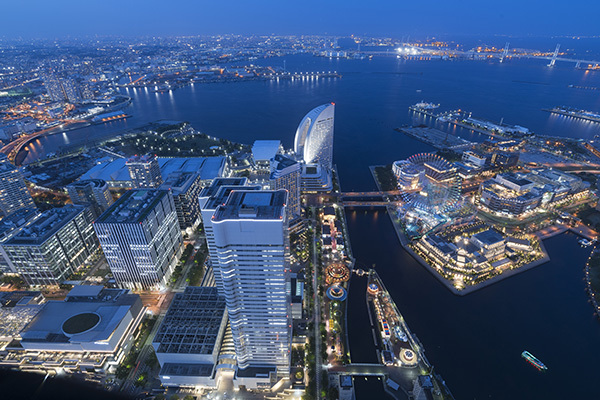 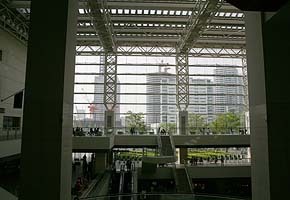 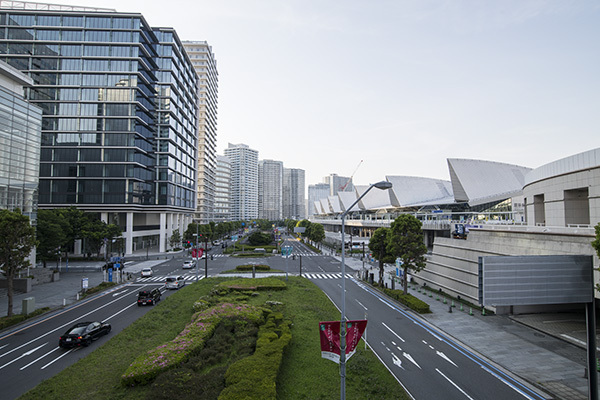 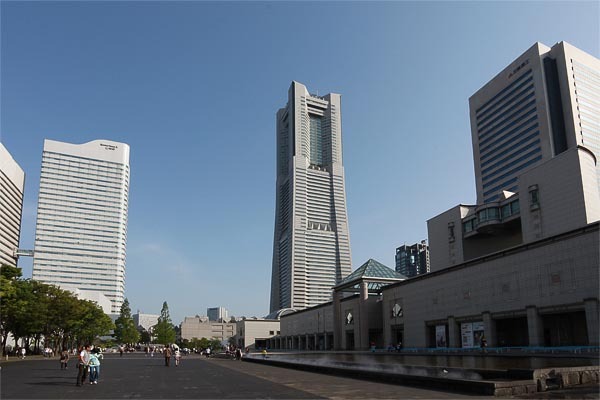 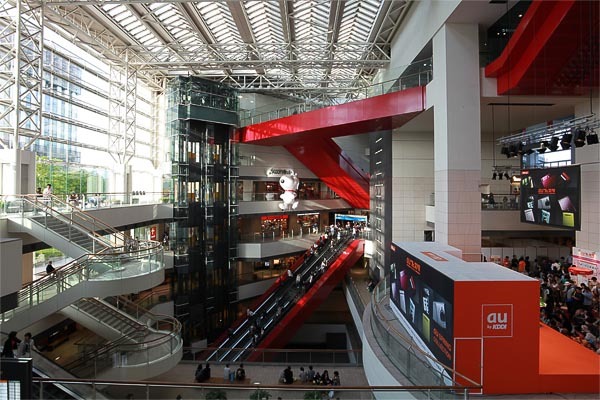 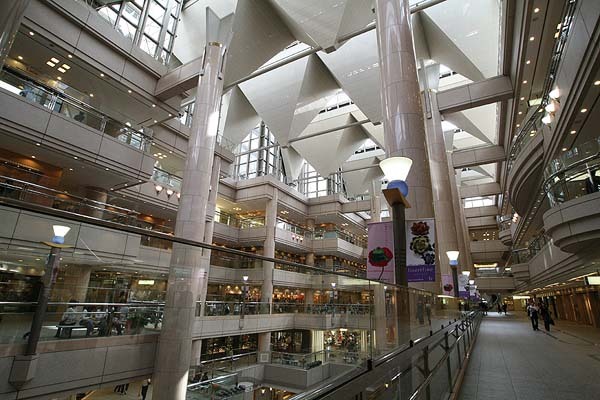 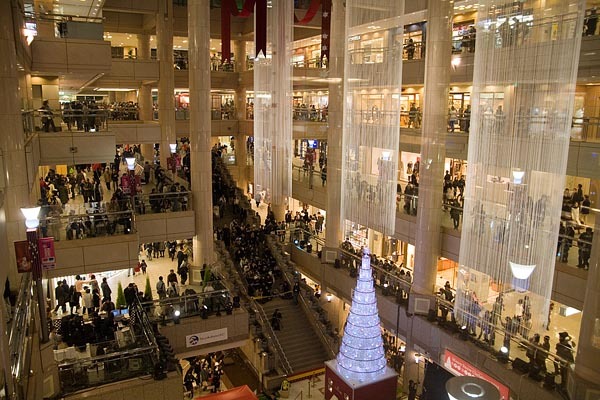 A newly developed water-front area “Minatomirai 21” has huge office space, shopping centers, restaurants, hotels, and convention centers. 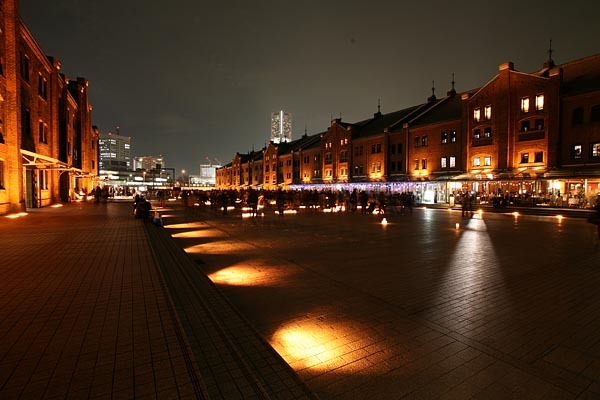 This area is extremely beautiful at night. 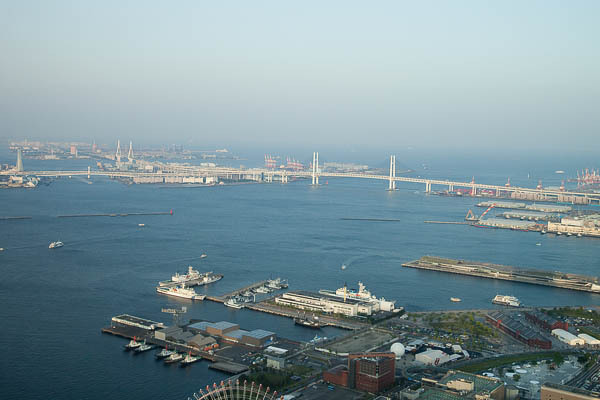 Views from Landmark Tower of Minatomirai 21, the highest building in Japan (296m), is fantastic. 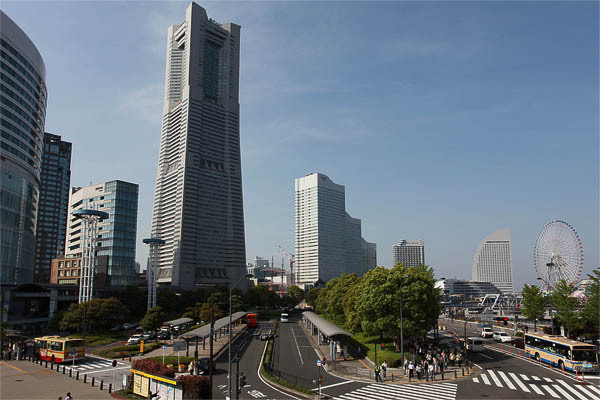 Like Roppongi Hills Tower in Tokyo, the Landmark Tower commands a most beautiful view of the entire Yokohama because it is not surrounded by skyscrapers of similar height. 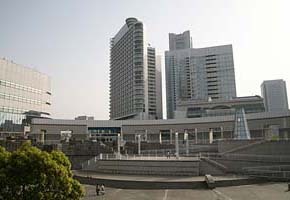 The Landmark Tower is built in the newly developed waterfront district. 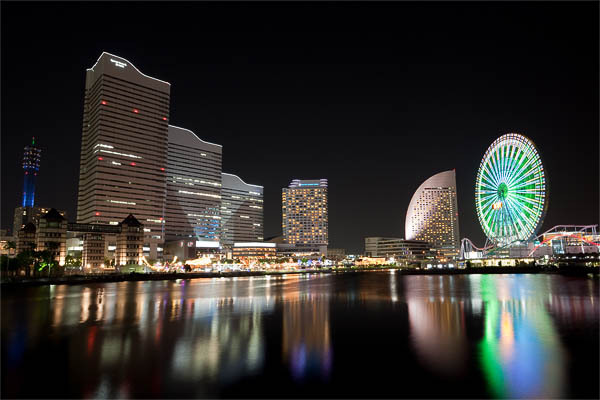 Various objects in the waterfront district is colorfully illuminated at night, and reflection on the water is also impressive. 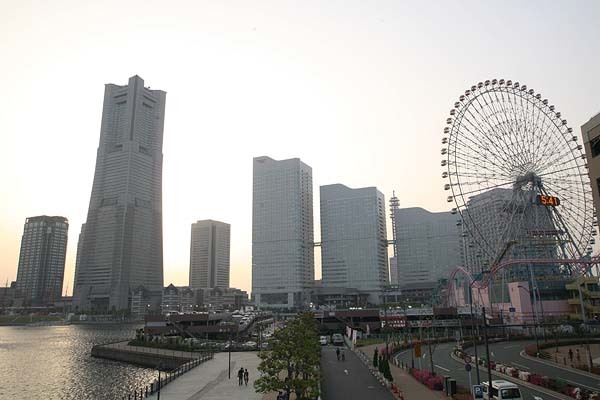 Huge advertisement is painted on the roof of Pacifico Yokohama. 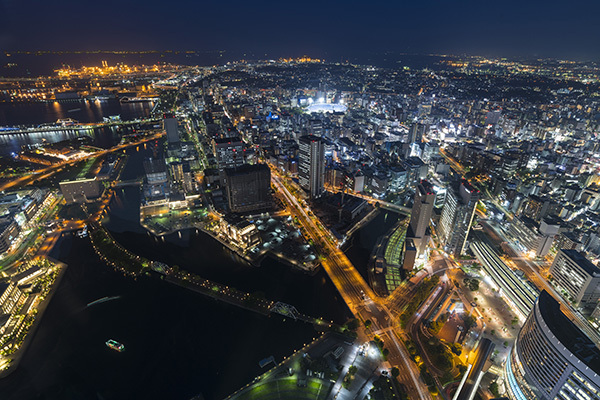 This might be intended towards observation satellites used for such as Google Earth. 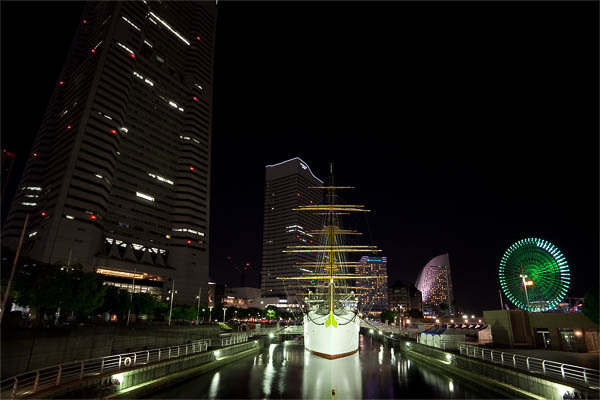 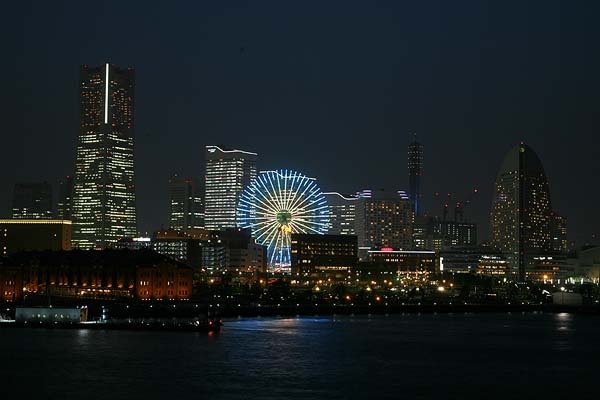 The night views from Minatomirai 21 would be best in Japan with colorful illuminations of various different objects in newly developed waterfront area. 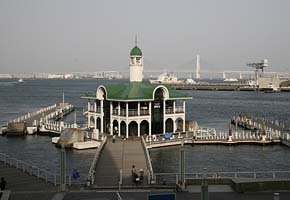 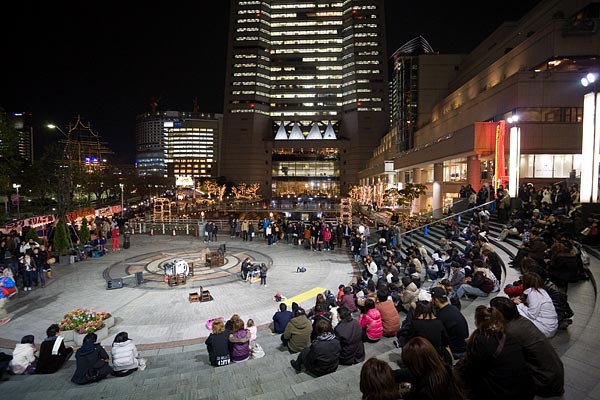 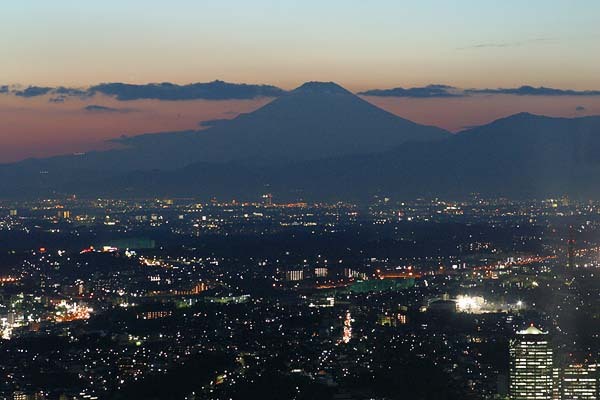 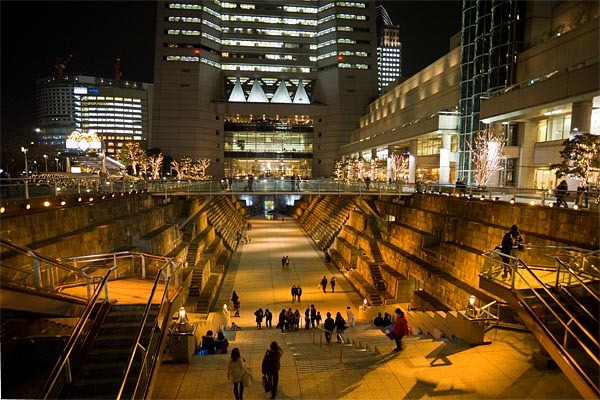 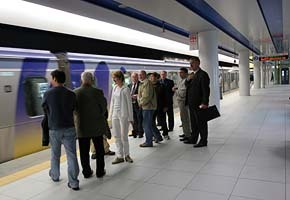 There are several good places to enjoy the views: such as Kishamichi, and Osanbashi. 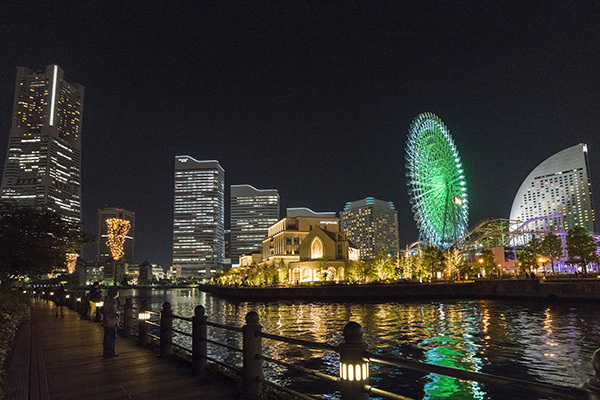 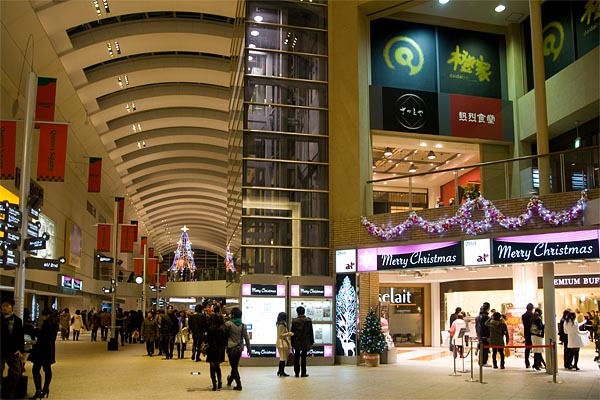 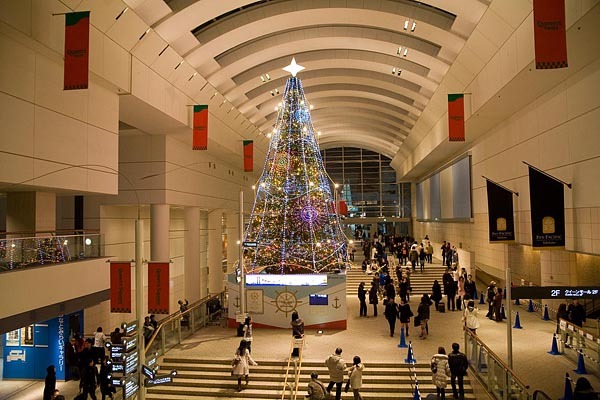 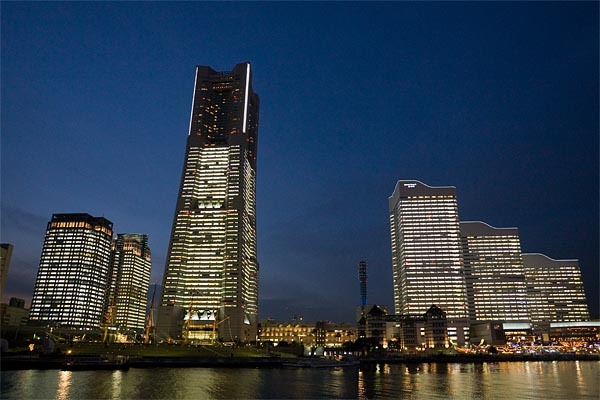 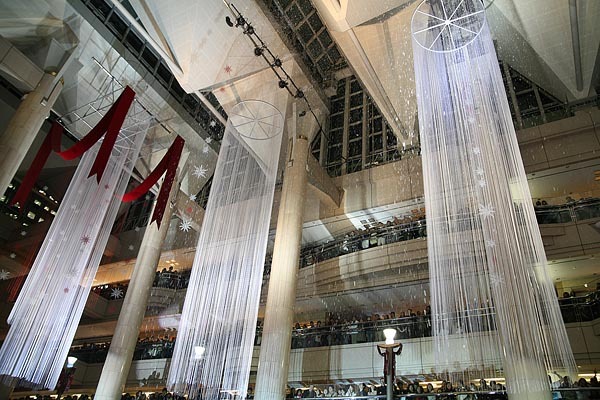 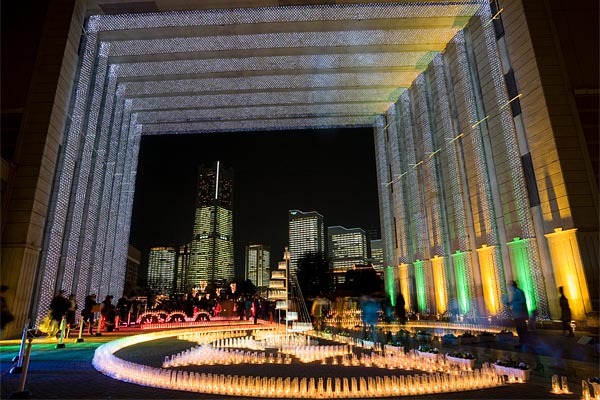 The night views of Minatomirai 21 of is most brilliant and fantastic in the evening of December 24th with full illuminations of all the windows of 12 major towers. 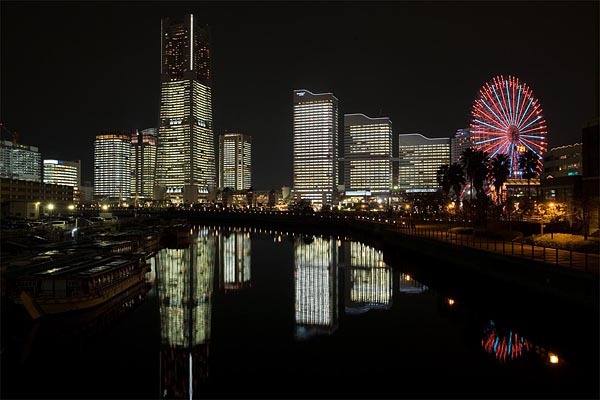 This is an experimental page being prepared for NPO InterCoS to introduce Yokohama.